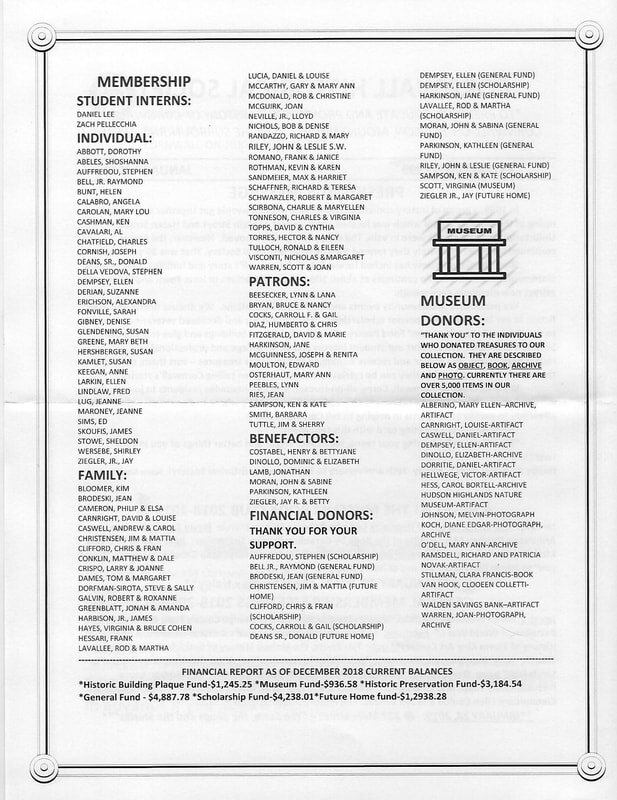 Please consider becoming a member, we can't continue our important work without your support! Scroll down below the photo gallery for this month's In The Loop and our Newsletter. 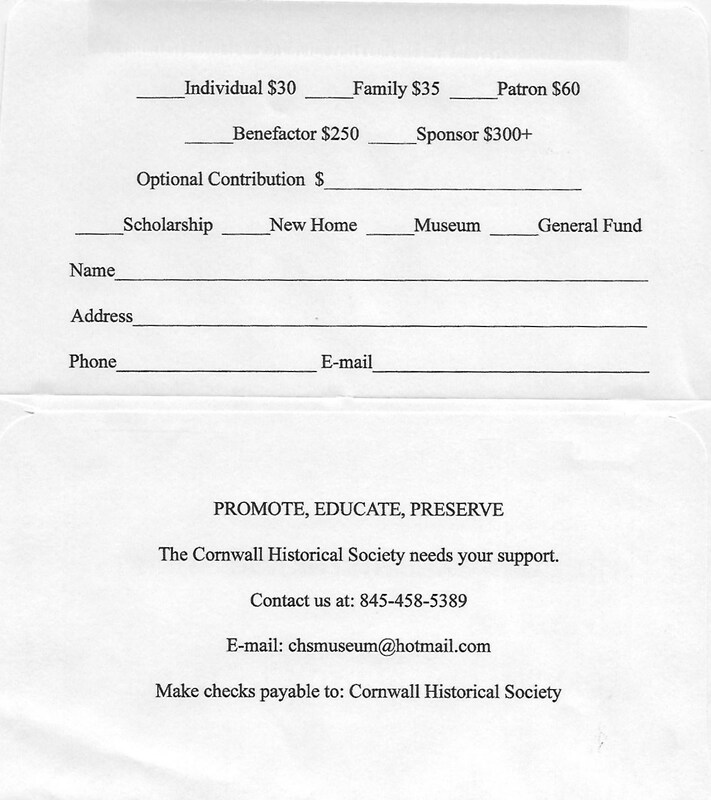 The Cornwall Historical Society was founded in 1999. It is our mission to protect and preserve the history of Cornwall, Cornwall-on-Hudson and Mountainville. Our goal is to promote pride in our community, identification with its past, and to instill in our community a commitment to responsibility for its future. We present informative programs, hold dinners and host the popular Wine & Cheese event. We participate in Cornwall's Fall Festival, the Independence Day Celebration and the River Fest in Summer. We have a display at the Cornwall Library of many of our donated items with a new display every few months. Check in your attic for items of historical significance to Cornwall and stop by to visit us. We accept donated items on Tuesdays and Wednesdays or call for an appointment.